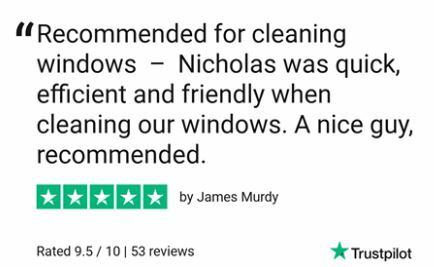 We make sure it’s obvious that you have had your windows cleaned professionally. No streaks, no smudges and no missed corners. Don’t struggle with window cleaning. At Nicholson Cleaning we absolutely pride ourselves on a job very well done with each and every customer. Not only is our Window Cleaner service rated as professional for all of Brighton and Sussex, we are also known for our reliability and our hard-working ethos. What Windows Do You Clean? We’ll clean pretty much any windows outdoors with our water fed pole and we can reach even the hard to get to places. We only use pure water when cleaning the windows which means there will be no nasty spots or smears when drying. Our Window Cleaning service rated as professional for all of Brighton and Sussex, we are also known for our reliability and our hard-working ethos. Don’t struggle with something like window cleaning when you can hire Nicholson Cleaning and get the job done. High Tech Carpet Cleaning Company in Brighton and Hove and Sussex. We use state of the art cleaning techniques to get a range of large/small stains and odours out of carpets, rugs and upholstery 24/7.